Des Moines, Iowa (CNN) - One of Michele Bachmann’s top campaign advisers is breaking with his own candidate to defend Kent Sorenson, the Bachmann campaign’s former Iowa chairman who publicly defected to Ron Paul on Wednesday. Wes Enos, Bachmann’s Iowa political director, released a statement Thursday defending Sorenson from Bachmann’s accusation that Paul offered him money to switch allegiances. “His decision had more to do with the fact that the Ron Paul supporters have been something of a family to him since he was first elected in 2008 and here in the end, as it becomes more and more apparent that the caucus cycle is coming to an end, Kent believed that he needed to be with them as they stand on the cusp of a potential caucus upset,” Enos said in the statement. “While I personally disagree with Kent’s decision, and plan to stay with Michele Bachmann because I truly believe in her, I cannot, in good conscious watch a good man like Kent Sorenson be attacked as a ‘sell-out’ … That is simply not the case, and it was not the basis of his decision,” he added. After the state senator from Indianola stunned Iowa political watchers by showing up on stage at a Paul rally late Wednesday, the Bachmann campaign released a statement from the candidate accusing Sorenson of leaving for money. “Kent Sorenson personally told me he was offered a large sum of money to go to work for the Paul campaign,” Bachmann said. 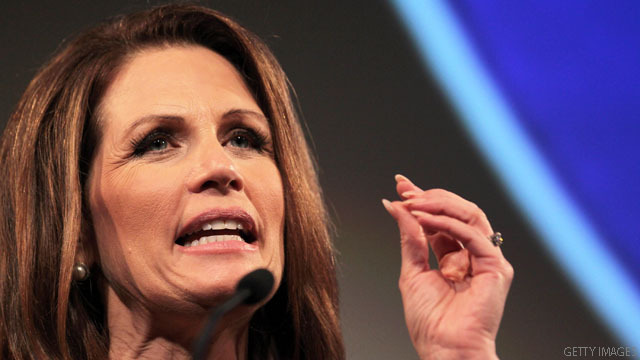 The Bachmann campaign did not immediately to a request for comment about Enos’ claims Thursday. Meanwhile, Sorenson's Facebook page was flooded with comments after his switch made national headlines. Several Paul backers posted comments thanking him for his support. "I thank you for your courage and devotion to liberty," wrote one. Others were not so kind, calling Sorenson an "idiot" and a "spineless mercenary hack." They're "swift-boating" each other. The weasels who run these campaigns are in it for themselves – leveraging every opportunity to gain money and power. Remember – Karl Rove is the prototype for Republican politics. Why be shocked when they do sleazy things to get their political slime-ball elected?